Until the Midland Hotel in Morecambe is restored, the best place to find some Art Deco glamour is the Hotel Borg in Reykjavik, Iceland, which re-opens in May, back to its former glory. 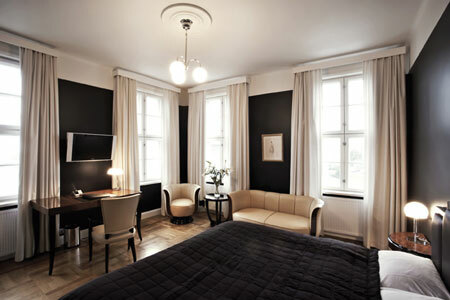 Built in 1930, the Hotel Borg was Reykjavik’s original hip hangout, four-star glamour that attracted the rich and famous of the era (Marlene Dietrich was a regular visitor). After a long (and costly) renovation, all 56 rooms are back to their Art Deco best, combining period pieces, custom-made furnishing and modern amenities you perhaps wouldn’t expect – like flat-screen TVs and high-speed internet. The final work is now being undertaken and you can book now – but as you might expect, it isn’t cheap. You can treat yourself from £127 for a single room (low season). But check the website for specially-priced breaks.